Please read general submission guidelines here. A text version of our call for submissions follows the graphic below. 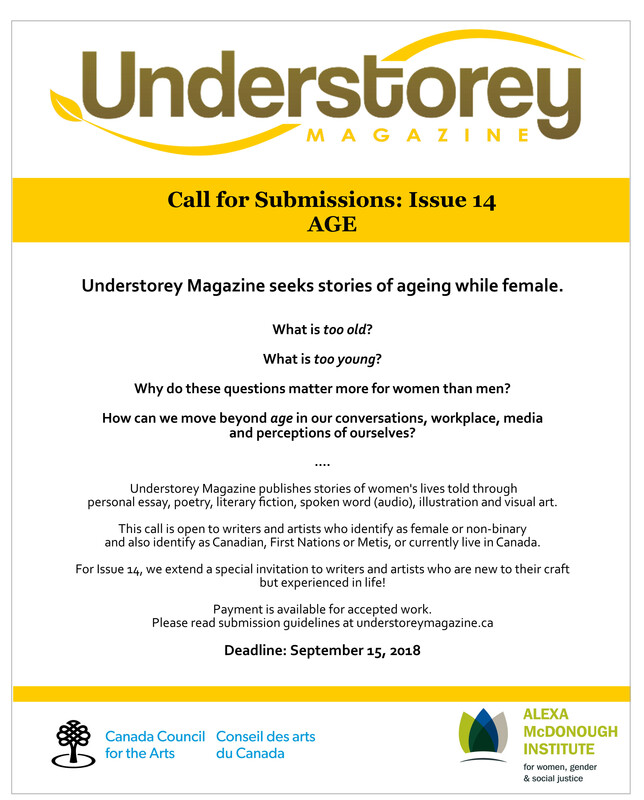 Understorey Magazine seeks stories of ageing while female. What is too old? What is too young? Why do these questions matter more for women than men? How can we move beyond age in our conversations, workplace, media and perceptions of ourselves? Understorey Magazine publishes stories of women’s lives told through personal essay, poetry, literary fiction, spoken word (audio), illustration and visual art. This call is open to writers and artists who identify as female or non-binary and also identify as Canadian, First Nations or Metis, or currently live in Canada. For Issue 14, we extend a special invitation to writers and artists who are new to their craft but experienced in life!